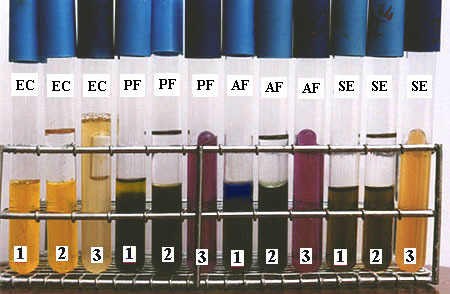 The following examples show the behavior of four organisms in both Glucose Fermentation Broth and Glucose O/F Medium. The organisms are gram-negative except Staphylococcus epidermidis which grows weakly in Glucose O/F Medium. Page last modified on 9/18/02 at 5:15 PM, CDT.